It took me a couple months, but I finally got around to watching the DVD Melissa sent me along with the note. And she was right—the video was very good, assuming you can get past the horrible, cheesy acting and the abrasive voice of the British-accented narrator. 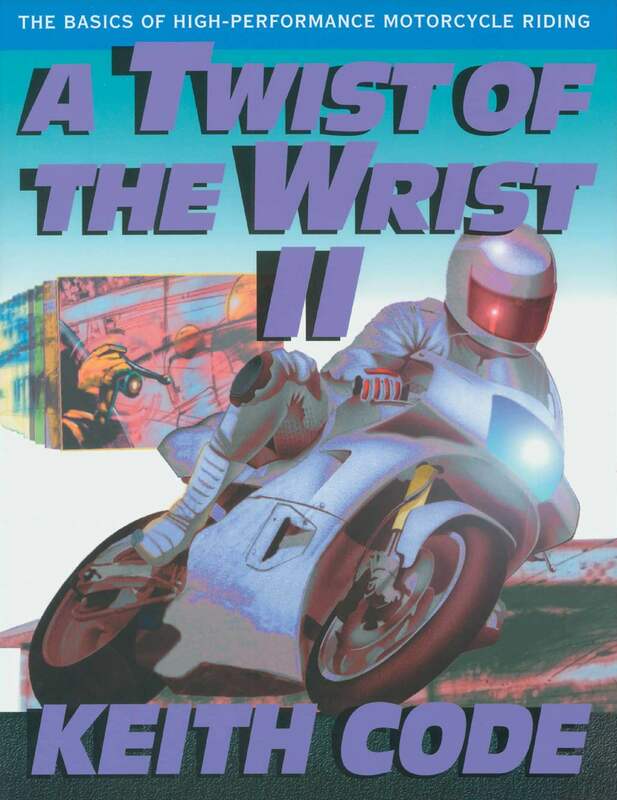 It was so packed with information about how to corner on your motorcycle with the deftness of a Superbike racer that I found my finger hitting the rewind and pause buttons several times. Always counter-steer to turn: Push (down/forward) on the right handlebar grip to turn right, and on the left handlebar grip to turn left. This will instigate a lean and a turn. Good throttle control is vital through a turn. Once throttle is cracked opened, it is rolled on evenly, smoothly and constantly throughout remainder of turn. Don’t ride with a death grip. Also, keep arms relaxed. When pushing the limits, riders usually turn in too soon. Best to stay on the outside, then look through the corner without actually turning, and then start turning once the apex and best line through it can be seen. Below are additional notes I took while watching the Twist of the Wrist, Vol. II . works. Turning the handlebars right and the bike leans left. nearly upright. Then can suddenly increase roll-on. take control by doing nothing. Turn” as a technique to tighten the turn. This is his term for lowering and displacing the body CG inside by dropping the upper body. This can be done pretty smoothly compared to sliding further off the seat.